Summer brings on the scorching heat of the sun, excessive sweating, dust and other environmental factors that can plague you with the most dreadful skin and hair problems. For many people, summer means dry skin, bug bites, sunburn, frizzy or dull hair, body odor and much more. Here are the common summer problems that you can treat with coconut oil. For many, summer means spending time at the beach, wearing swimsuits and soaking up the sun. But too much exposure to the sun’s ultraviolet (UV) rays causes sunburn. In addition, the UV rays can age your skin quickly and increase your risk of developing melanoma, a type of skin cancer. To deal with sunburn, you can always rely on coconut oil. Its fatty acid content helps reduce inflammation and revitalize the skin. Also, its moisturizing property prevents skin peeling, a common symptom of sunburn. Simply rub extra-virgin coconut oil on the sunburned area and leave it on for a few hours. You can also add some aloe vera gel or a few drops of an essential oil such as lavender oil to it and then apply. Use it a few times daily for several days to promote healing. During the summer season, do not make the mistake of going out in the sun without applying sunscreen that has a minimum sun protection factor (SPF) of 30 and is water resistant. Apply it generously to any exposed skin about 15 to 20 minutes before heading out and reapply if needed. 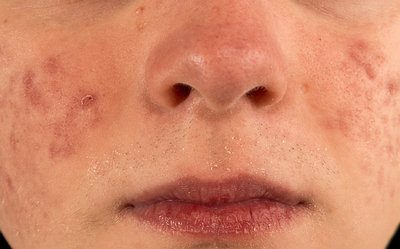 Acne, blemishes and other skin breakouts are more common in the summer. 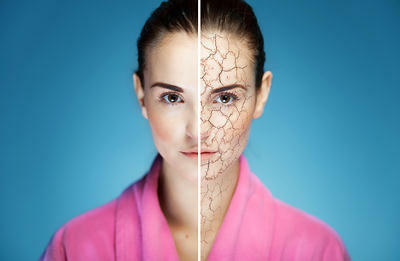 When sweat mixes with dirt and oil on your skin, it clogs your pores and leads to skin breakouts. Also, some sunscreen formulations and outdoor pollutants can contribute to clogged pores. Coconut oil cleanses your skin and also offers antibacterial, antifungal and antioxidant benefits. Thus, it helps eliminate acne-causing germs and other impurities from the skin. Dab a little extra-virgin coconut oil on the affected skin before going to bed. Wash it off in the morning. Also, cleanse your face twice daily with a mild cleanser and try not to use your hands to wipe sweat off your face. Preferably, use oil-free skin care products. Many people experience excessive sweating and body odor in the sweltering heat. Sweating itself does not cause body odor. It happens when sweat mixes with bacteria that grow quickly in a warm, moist environment. Extra-virgin coconut oil works as a deodorant. It has lauric acid that helps kill bacteria that cause a bad odor with sweating. Massage coconut oil gently onto the body parts that sweat the most top help you smell fresh and sweet. Also, take a shower 2 or 3 times and drink plenty of water throughout the day. A common hair problem is frizzy and dry hair, which is very difficult to manage. 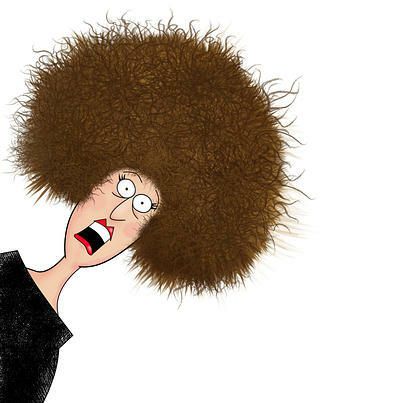 Extreme humidity and heat during the summer can be hard on your hair. Also, swimming in chlorinated water and using a blow dryer add to the problem. You can manage your frizzy hair with a coconut oil treatment. The moisturizing property of coconut oil helps seal the moisture in your hair strands to keep them conditioned and smooth. Apply warm coconut oil on your hair, cover your hair with a shower cap and wrap a hot towel around it to retain moisture. Allow it to sit for 30 minutes, then shampoo your hair as usual. Try this hot oil treatment for frizzy hair 2 or 3 times a week. In addition, try to air dry your hair and avoid using a blow dryer and other hair styling products. A day out in the sun can leave your skin looking and feeling drier than usual and cause intense itchiness. Factors like living in air-conditioned areas during the summer and dehydration also contribute to dryness and itching. To fix this problem, you need to seal in your skin’s moisture with coconut oil. Its moisturizing property will soothe and condition dry skin and stop the itching. Before taking a shower or bath, apply lukewarm coconut oil all over your body. Wait about 30 minutes, then take a shower and finally apply a light moisturizer. Do this daily to keep your skin free from dryness and itchiness. Avoid overuse of soaps, antiperspirants, perfumes or hot baths. At the same time, drink plenty of water to keep the body hydrated from within. Hot, humid summer days can cause excessive sweating, which in turn blocks the sweat glands and traps perspiration under the skin. This gradually irritates the skin and results in heat rash, also known as prickly heat. Symptoms include stinging or prickling sensations; small, red round bumps on the skin; and intense itchiness. Coconut oil penetrates the skin easily and stops itching. In addition, it prevents infection and reduces inflammation. Put 2 tablespoons of warm coconut oil in a bowl. Drop a camphor tablet in it and let it sit for a few hours. Apply the mixture on the affected areas a few times daily to get relief from heat rash. Also, avoid humid places and opt for lightweight, breathable fabrics to allow sweat to evaporate. As heat and sweating can aggravate the itch, stay in a cool place as much as possible. 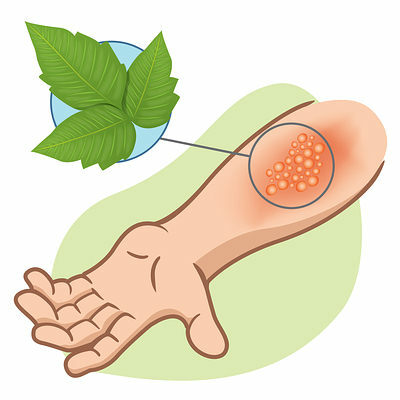 When your skin comes in contact with poison ivy, it can give you a nasty skin rash. The leaves, stem and roots of this plant can lead to an allergic reaction. Along with a rash, you may also have tiny fluid-filled blisters and intense itching. To stop the itching, apply some coconut oil on the affected area several times a day. It will also speed up the healing process and reduce the risk of infection. You must try hard not to scratch the affected area as it can lead to infection. It is also important to keep the affected area clean by washing it regularly with some medicated soap and warm water. As the weather heats up, many people spend time outdoors in the late afternoon and evening. This increases the risk of insect bites. To get relief from any insect or bug bite, apply a thin layer of coconut oil on the affected area. Its soothing and anti-inflammatory properties provide quick relief from pain and itchiness It will also reduce the risk of infection, thanks to its antibacterial properties. When outdoors at nighttime, avoid spending too much time near water, which attracts bugs. Also, wear loose-fitting clothes that cover your whole body. If bitten, scratching is a no-no to avoid infection. To reduce itchiness, apply an icepack on the affected area. out a lot. I’m hoping to give one thing back and aid others such as you aided me.